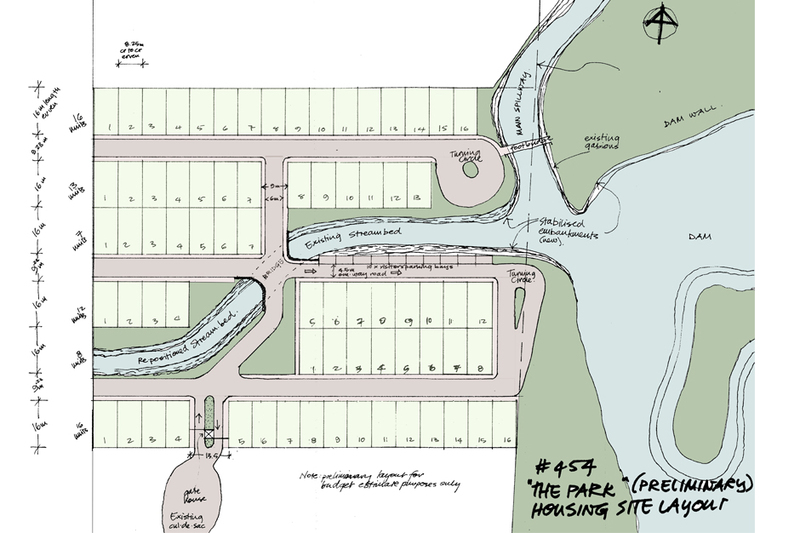 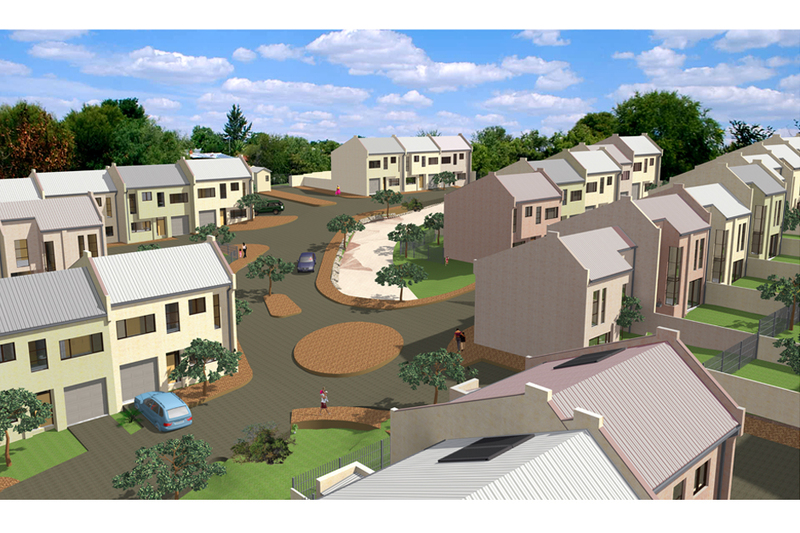 Speculative townhouse development designed around natural river-courses to create common spaces and parkland for inhabitants, with special focus on play-spaces for children, retaining existing contours and indigenous vegetation. 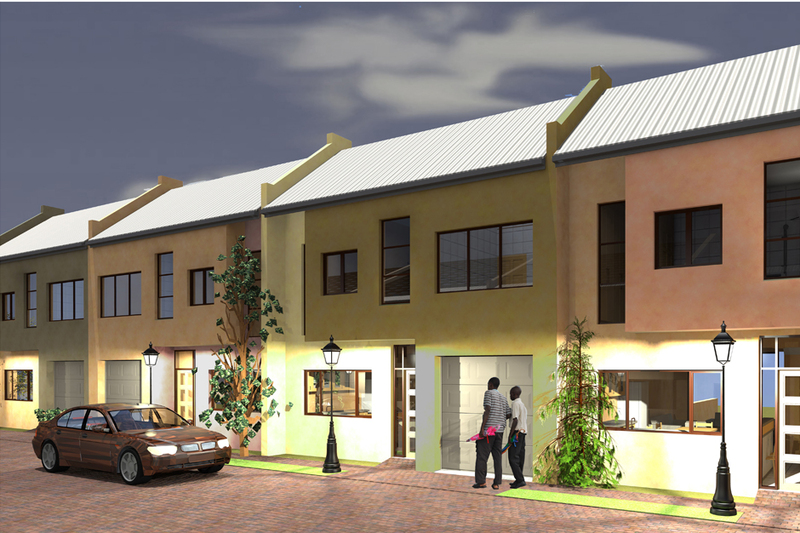 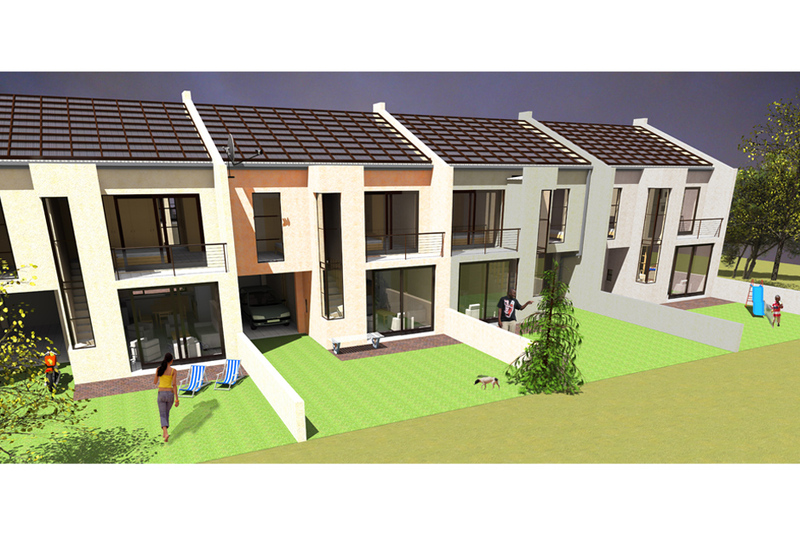 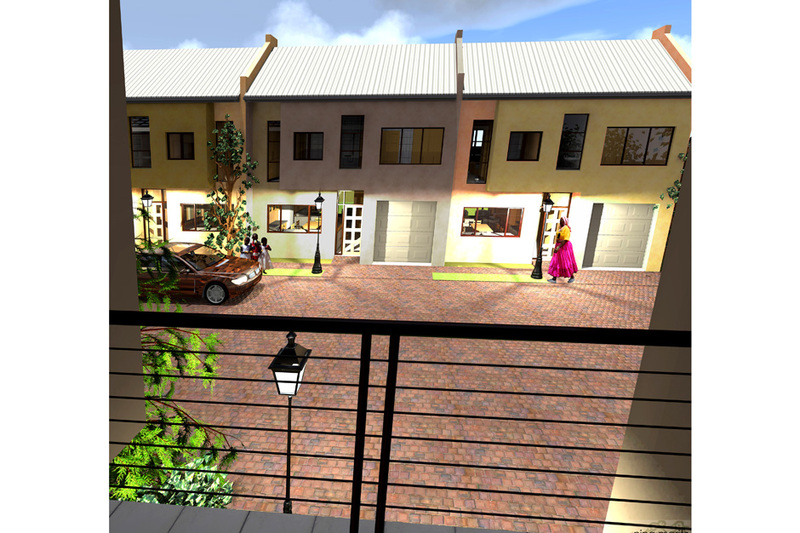 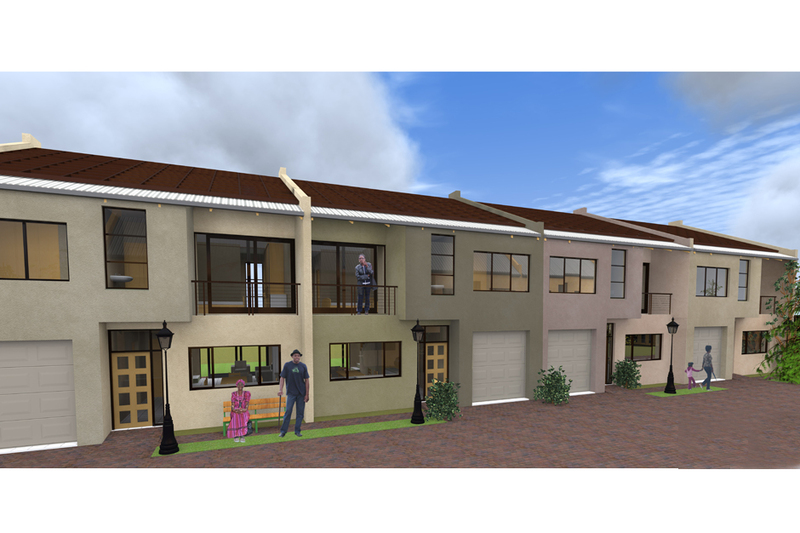 Unit designs provides north orientation for 2 out of three bedrooms and living area, irrespective of location on street. 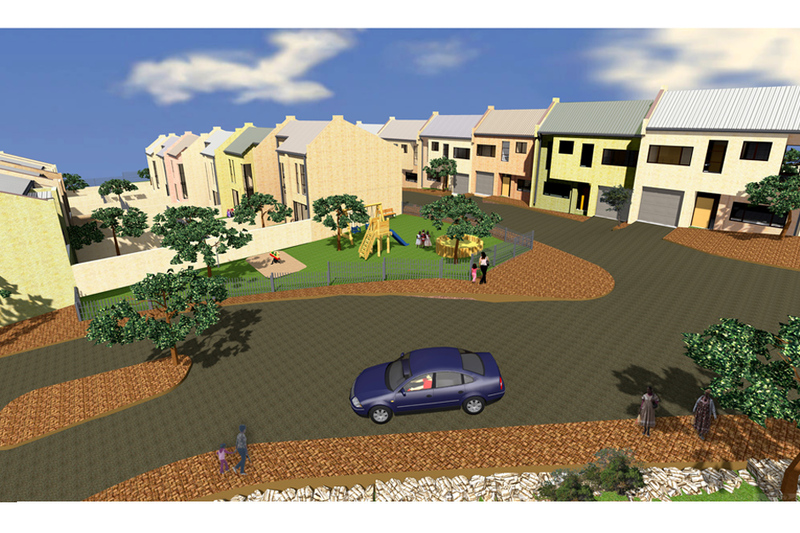 Traffic calming & ample landscaping for walkable neighbourhood.